God uses the desert places in our lives to discover who He is. 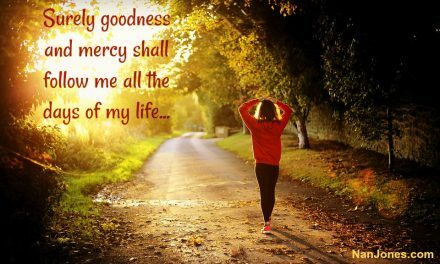 Lord, Your ways are not our ways, but Your ways cause me to marvel. I marvel because as I watch and wait and wonder, You fulfill Your Word, especially in the desert places of my life. Why should I doubt? You always do what You say You will do! 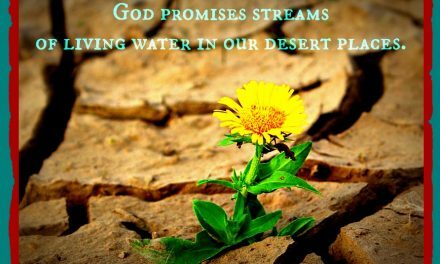 You promised us streams in the desert, water in the wilderness. 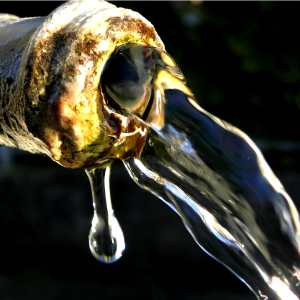 When we are parched and desperate for hope You, according to Your Word, often lead us into the desert where we finally reach the end of ourselves and will yield our hearts and ear to You. Oh, how great is Your love! You don’t lead us to the desert to punish or bring us harm — You lead us to the desert to find You. Praise Your Name! Many of Your children find themselves in a desert place today — a place of brokenness, pressure, overwhelming despair. I ask that You show them just as You have shown me that sometimes You lead us there so that we may gain an understanding of who You are and experience Your love that knows no bounds. Lord, cause our hearts to be pliable in the desert places — soften our hearts to respond to Your hand. Mold us. Make us. 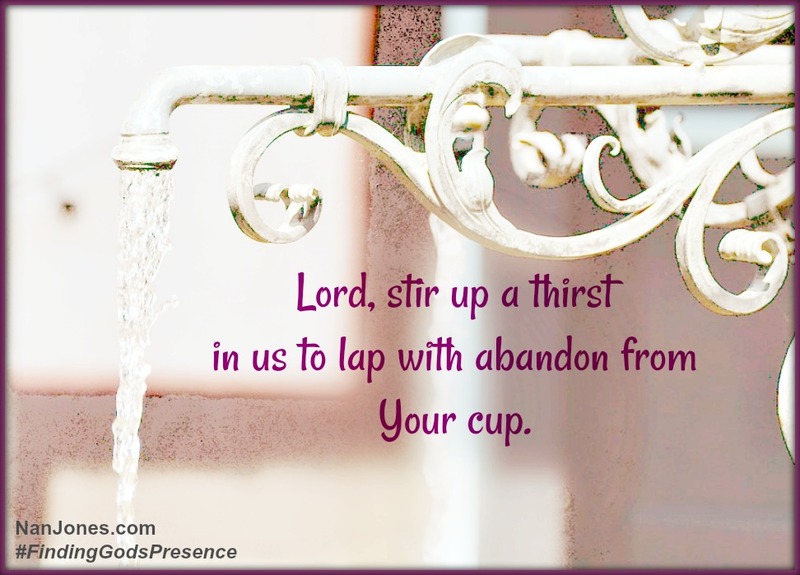 Fill us, and use us, Lord. Use the desert places to transform us into a vessel for Your glory. Guard our minds against the mockery and taunts the enemy hurls at us, causing us to doubt Your love and faithfulness. Strengthen us by the wells You strategically place in our desert places — Your Living Water reviving the barren and parched areas of our lives. 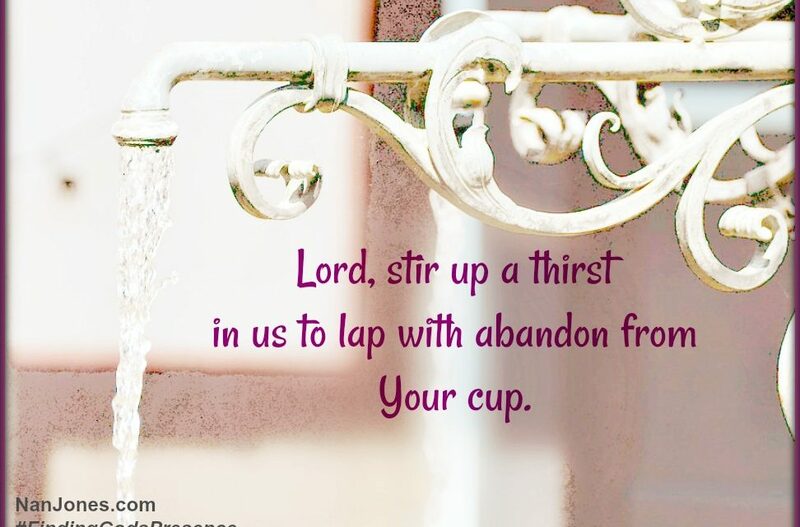 Stir up a thirst in us to lap with abandon from Your cup. Thank You Lord. Open our eyes to see Your Truth in this principle. 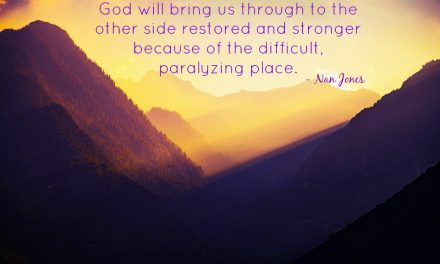 Awaken our hearts to recognize Your presence with us, especially in the difficult places. You are Jehovah-shammah, the Lord who is there. You never abandon us. You never forsake us. You are a faithful God. We praise You and magnify Your Name. 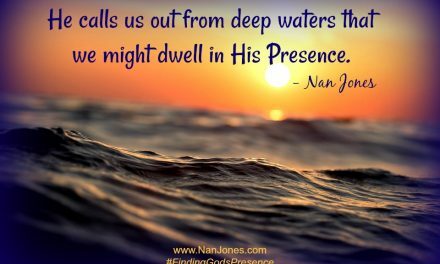 PreviousFinding God’s Presence ~ Not On My Watch, Mister!